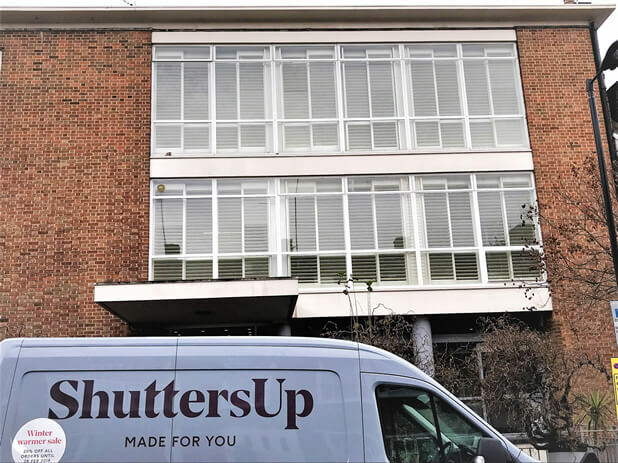 Mike and Ben visited this college in West London to install our bespoke bypass track system shutters to some main windows on the side of the building. 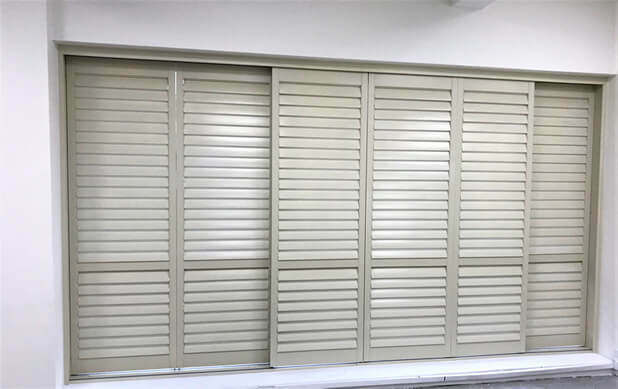 The shutters needed to be a practical solution which would also help to modernise the looks of the building at the same time. 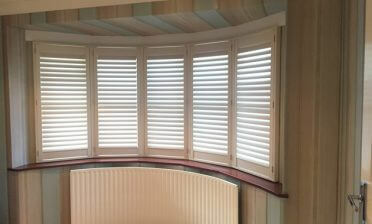 The location of the windows allow for the shutters to also be seen in full view from outside of the college. 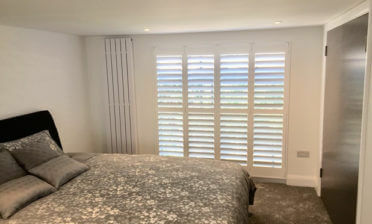 The shutters were made using hardwood from our Fiji Range which is the perfect solution for wide areas like this. 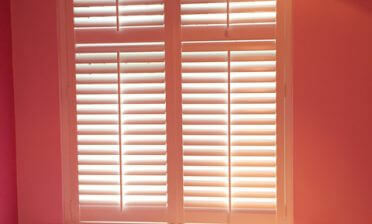 It is light enough for operating the track system but also robust to strengthen the shutters over such an area! 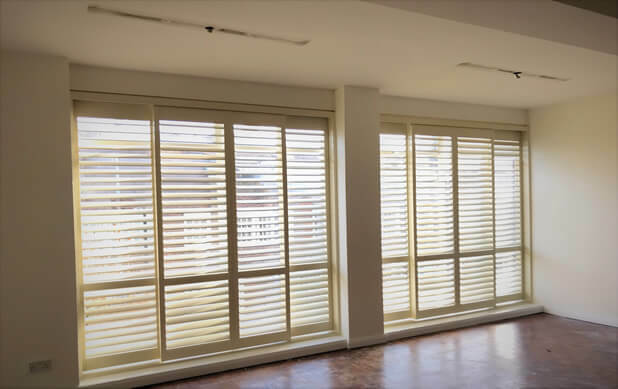 We created midrails to further help with strength, but also to match the lines of the windows behind and used thick 89mm louvres with hidden tilt rods on all panels. 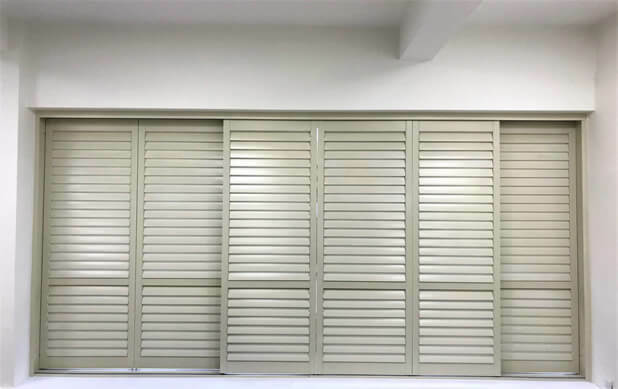 We used a lovely Alabaster paint colour to finish the shutters which all in all have helped update the college from inside and outside and helped create a practical solution for the teachers and students.